Marriage*: He married Catherine Kitty Worrell on 12 May 1840 at Warren Co., NC. [S545] 1930 Vance Co., N.C. Census, pg 55. Birth*: Elizabeth Duke was born in 1817 at NC. She was the daughter of Hiram Duke and Cursey Falkner. Marriage*: Elizabeth Duke married Solomon Poston circa 1838 at TN. She was the daughter of Doctor Mansfield Duke and Catherine Kitty Worrell. [S1672] Unknown author, Franklin County Heritage North Carolina Vol II, pg 129. Marriage*: Henrietta Duke married Albert W. Pernell on 25 November 1853 at Warren Co., NC. [S4] Warren Co., N.C. 1850 Census, pg 3. Marriage*: He married Cursey Falkner, daughter of Moses Falkner and Susannah Saulter, on 21 December 1815 at Orange Co., NC. [S2264] 1880 Overton Co., Tenn. Census. Marriage*: Ida E. Duke married Donald Thomas Reavis circa 1916. He was the son of James W. "Will" Duke and Sallie Elizabeth Eakes. [S1788] Unknown name of person unknown record type, unknown repository, unknown repository address. Birth*: John Jackson Duke was born circa 1892 at NC. He was the son of Willis Thomas Duke and Matilda Farrah Jackson. 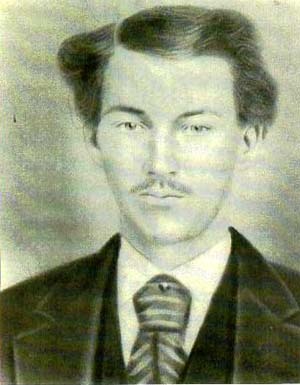 He was the son of Ransom Harris Duke and Ann Elizabeth Ball. Marriage*: Lewis Henry Duke married Martha F. Powell, daughter of Enoch Powell and Amy Merritt, on 2 March 1871 at Franklin Co., NC. [S646] Inc. Warren County Heritage Book Committee and County Heritage, Warren County Heritage North Carolina Volume I, pg 135, #449. Divorce*: Lina S. Duke and Jessie Earl Kittrell were divorced before 1930. Birth*: Lina Virginia Duke was born on 16 December 1919 at Vance Co., NC. She was the daughter of Edward Lee Duke and Lucy Annie Edwards. Death*: Lina Virginia Duke died on 1 April 2006 at Newport News Co., VA, at age 86 .